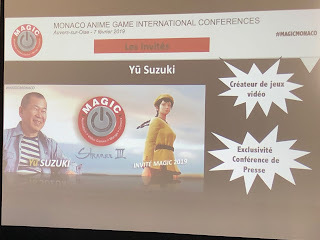 Some exciting information on Shenmue III was revealed at yesterday's press conference for the upcoming MAGIC 2019 event in Monaco on March 9th. And we were even treated to two new images from the game! In this post we recap what was shared by Shenmue III's co-producer, Cédric Biscay. 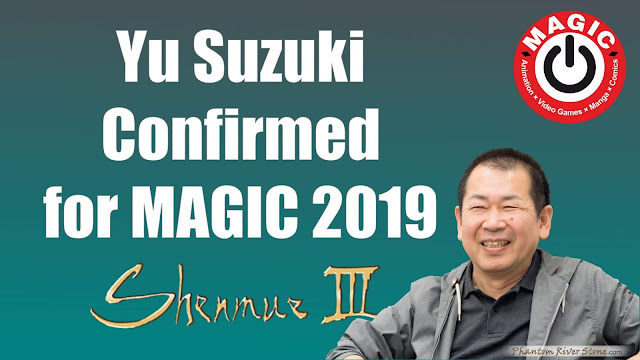 First and foremost: Yu Suzuki's presence at the event is confirmed with a presentation on Shenmue III. This will be a fantastic opportunity to hear Yu speak more about the game and the latest progress, Autograph signing sessions are also promised. 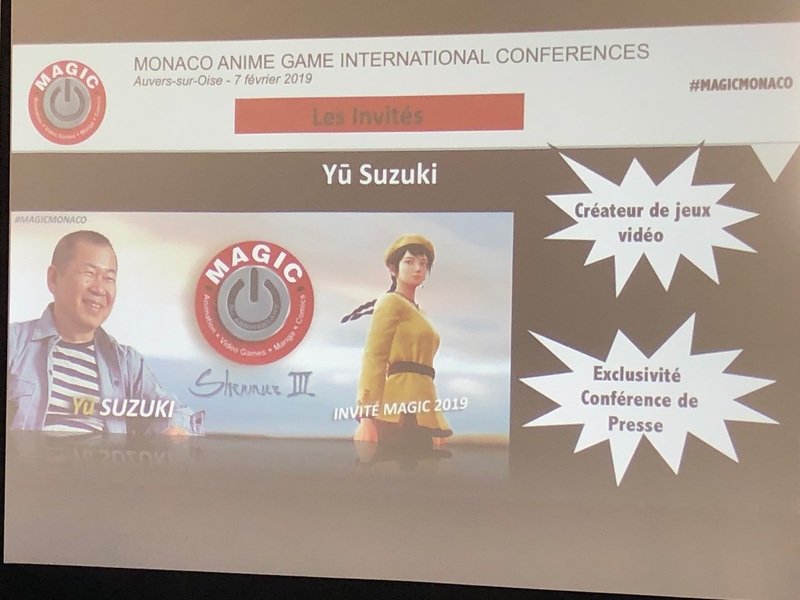 A brand new Shenmue III trailer will be premiered at MAGIC Monaco - and, as clarified in a post-conference tweet, it will also contain gameplay. 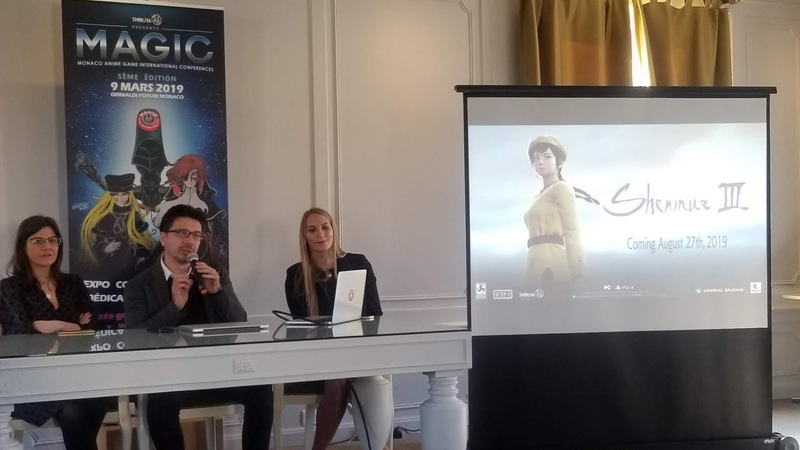 The trailer will also be made available also to fans who are not attending the event. 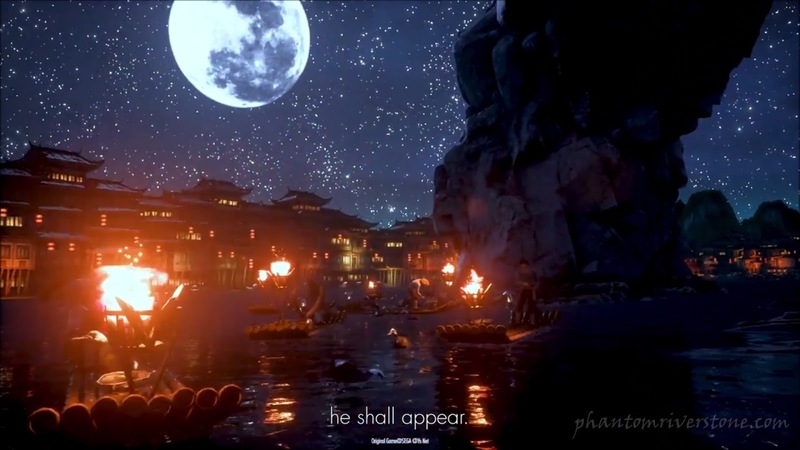 There was also mention that certain "selected" people will be given the opportunity to view Shenmue III gameplay. Exactly what this will entail is currently not clear, so we will be watching for further details. 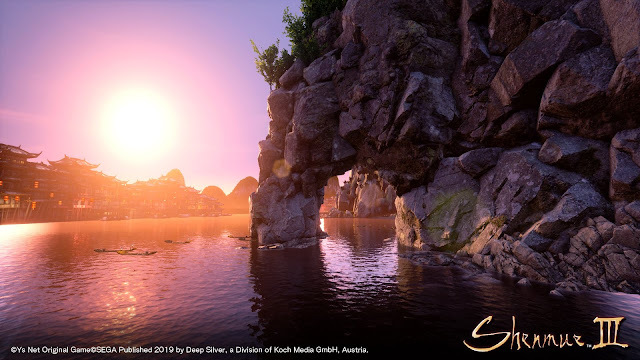 And finally, two new Shenmue III images were released, and they look stunning. The first shows a river scene (tap to enlarge), with the sun low over the horizon behind the houses and mountains of Choubu. Several cormorant fishing boats can be seen on the water to the left of the rock arch (although none of them seem to have the figures of fishermen on them), giving a sense of its immense size. Through the arch in the distance can be seen several more fishing boats and a small beach of some kind on which are some indistinct shapes, possibly boats. 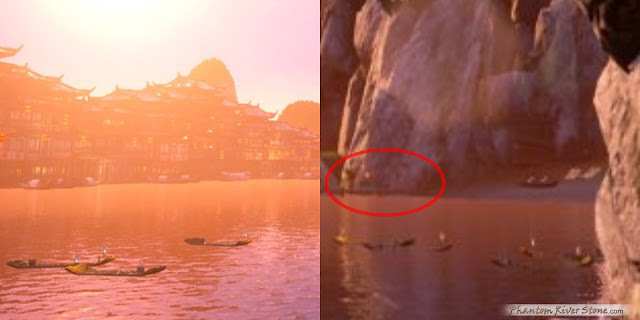 There also appears to be a wooden pier leading out into the water, circled below. Image details: fishing boats and a wooden pier. This area of the river can be recognized from the Prophecy trailer that was released at Gamescom last year, when we saw part of the arch at night. 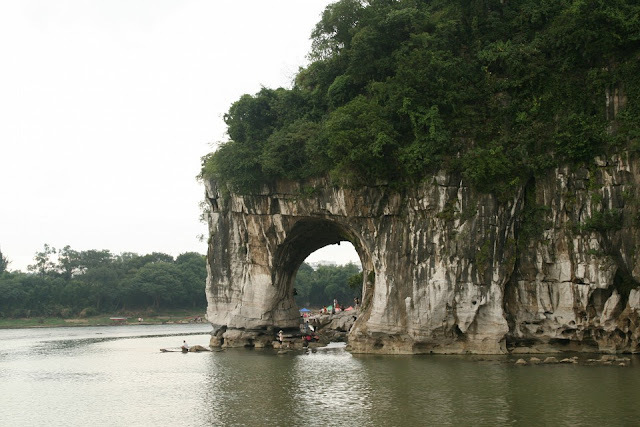 A very similar arch actually exists in real-life Guilin, and is part of a hill at a junction of the Li River called Elephant Trunk Hill due to its likeness to an elephant drinking water. It is a natural limestone formation. 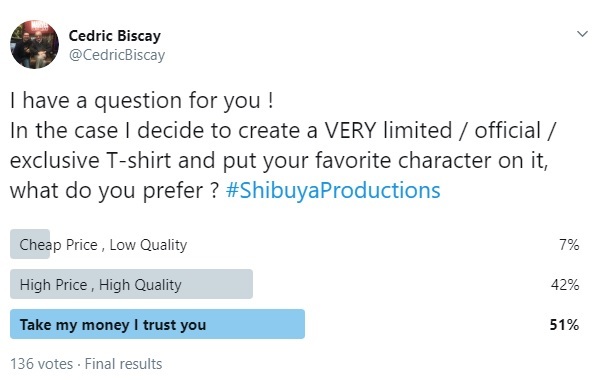 Recently a poll posted by Cédric on Twitter, asking for feedback on the idea of an official T-shirt featuring people's "favorite character", received great interest with several requests for something Shenmue-themed in the comments. 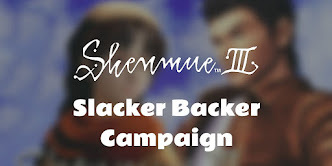 And not coincidentally, an exclusive, limited-edition Shenmue III T-shirt was announced. 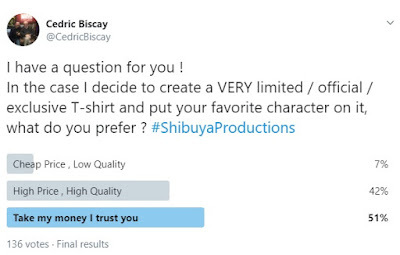 The T-shirt will only be available during the event itself on March 9th, and according to Cédric, it "will include the MAGIC 5th anniversary logo and a very nice artwork from Shenmue 3 directly chosen by Yu Suzuki himself." Those lucky enough to attend will not want to miss picking one up. 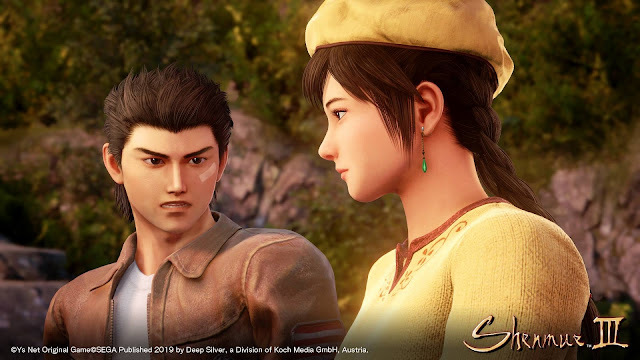 The second new image shows Ryo and Shenhua. What is particularly striking to me is how dynamic it looks, with both characters looking expressive and natural. The detail in their clothes and character models is also superb. With the MAGIC event only 4 weeks away, there is not long to wait now.Based on the latest images, the models and backgrounds have reached a very high standard and points to the level of quality that can be anticipated in the new trailer. With confirmation of a presentation by Yu Suzuki, together with viewing in-game play for the first time, this is certainly one to look forward to. March 9th: mark the date! MAGIC 2019 seems to be better than the last year. 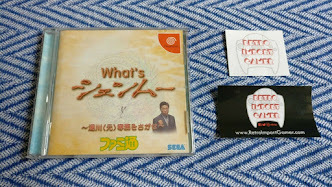 But i ask what could be the reason to show gameplay behind closed doors? Will they are going the same way like CD Projekt RED did with Cyberpunk 2077(first behind doors then on a livestream)? 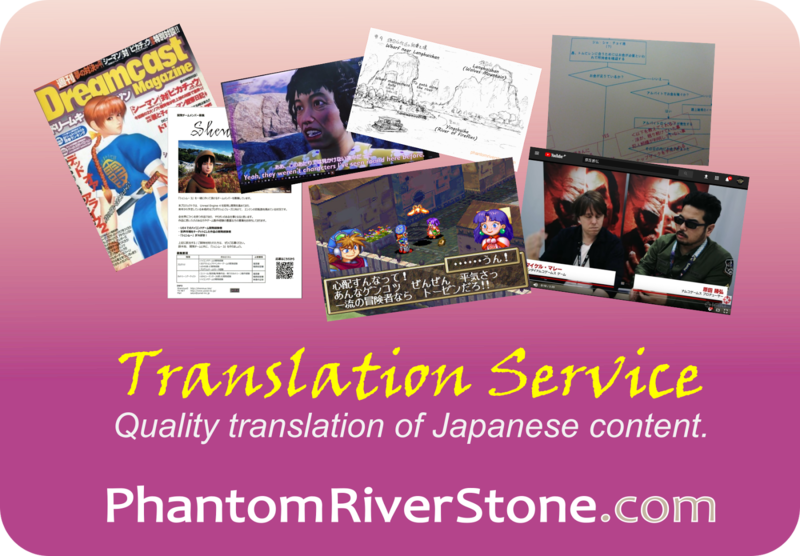 It will be an exciting year. That will be an interesting question to learn the answer to - fortunately only a few weeks to wait! Yes, I am sure they are making every effort to pull off something special for Shenmue 3 at MAGIC this time, in the year of its release.